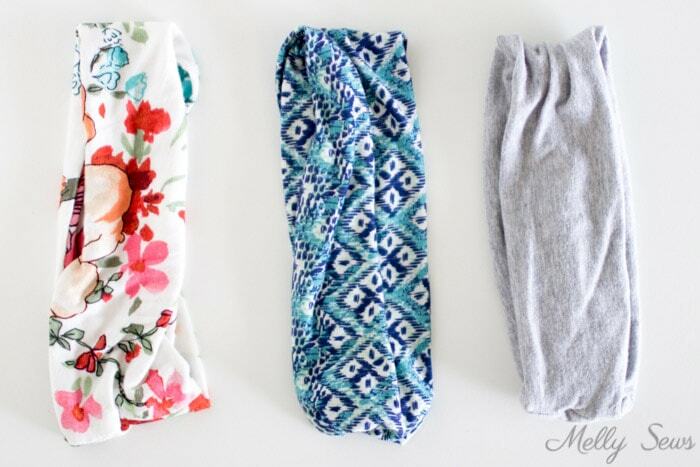 Stretchy knit fabric, 18 inches long by 4 to 8 inches wide. 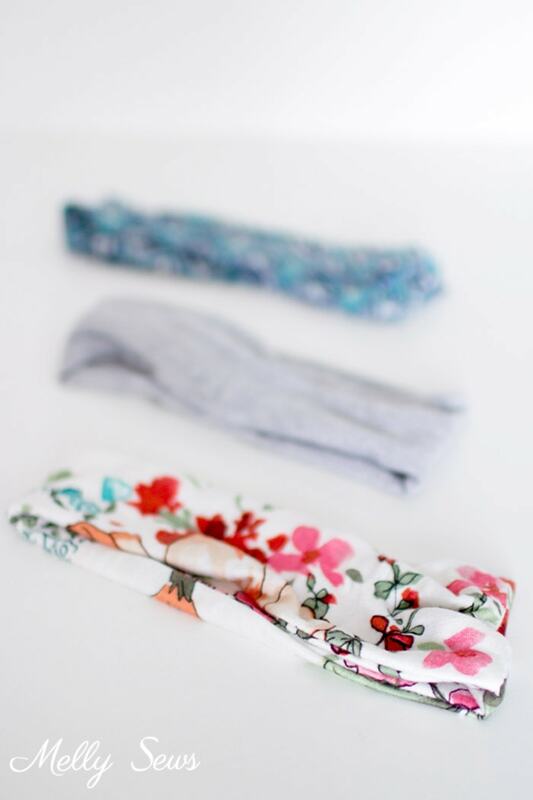 Your final headband will be half the width of your fabric minus about 1 inch, so keep that in mind to decide on the width you want to use. The one I’m wearing in this post is 3 1/2 inches wide finished, and I cut the fabric 8 inches wide. 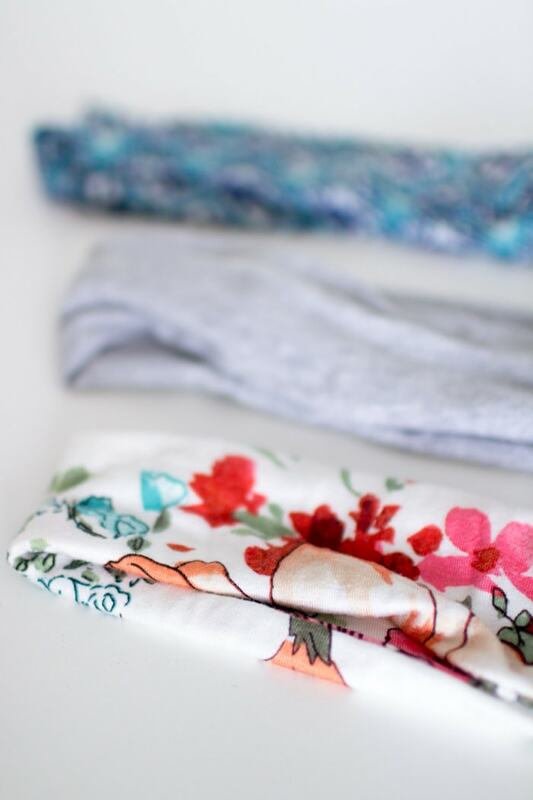 *If you find store bought headbands tight, you may want to adjust my measurements. 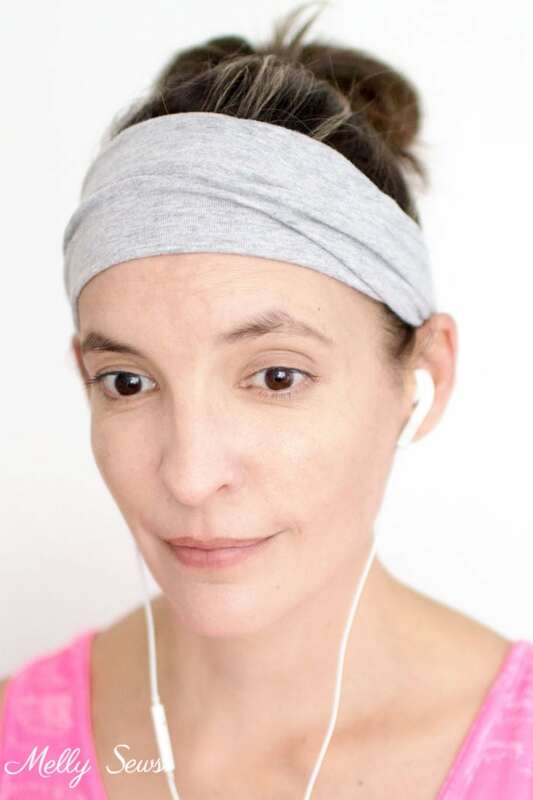 Measure your head where you want the headband to go, and then multiply that number by 0.8 and add seam allowances to get your personal measurement. If your fabric stretches less than 40%, multiply your head measurement by 0.9 instead. So, here’s a little video on how to make them. You can also watch it on YouTube here, or you can scroll down for the written instructions. To start, gather your supplies. 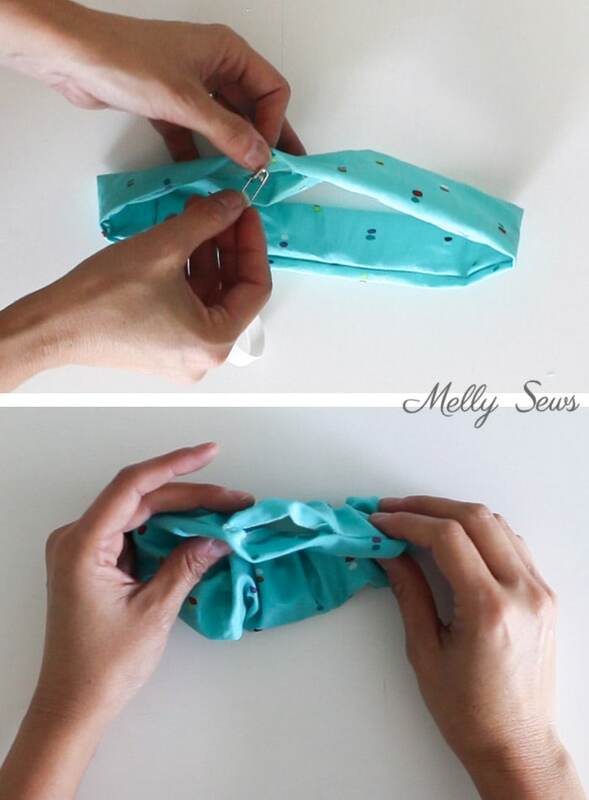 Fold the fabric in half, right sides together, matching the long edges. Stitch, leaving a 1 inch gap near one end. Turn the tube halfway to the right side, so that you can match the short raw edges. 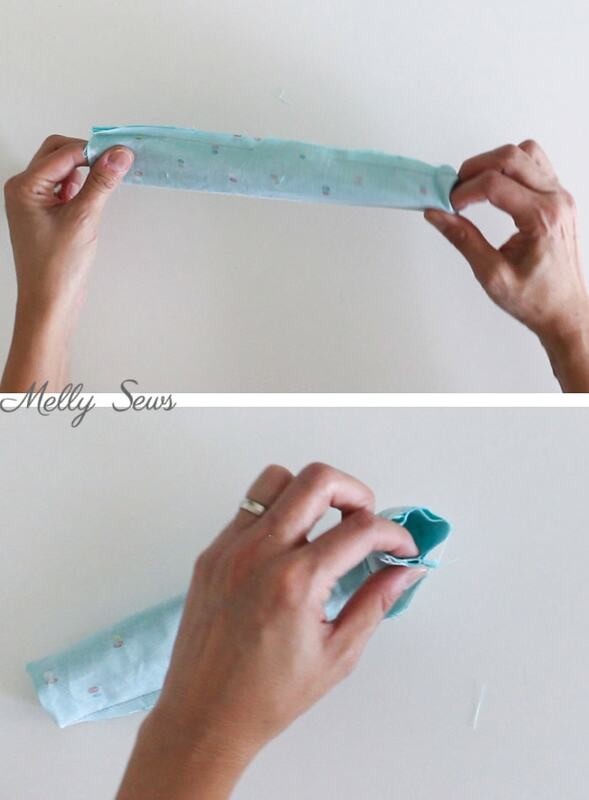 Make sure to do this so that the gap in the stitching stays on the outside of the tube. Match the seams and the short raw edges. Stitch around the tube to sew the raw edges together, by placing the machine presser foot inside the circle (watch the video if that step doesn’t make sense). 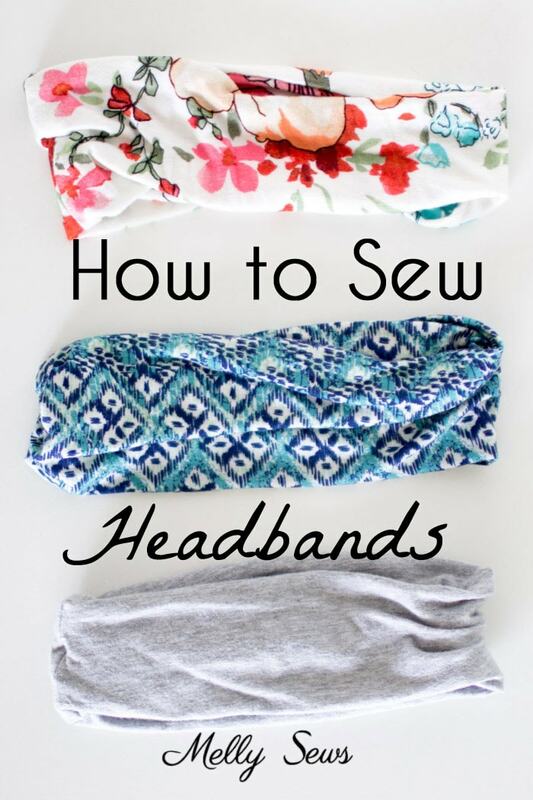 After stitching the ends together, reach through the gap in the stitching from step 1 and turn the headband right side out – you should have a ring. Next blind stitch the gap closed and you’re done! Cuuuuute! I have So. Much. Knit. Scrap. that needs a purpose in this life. 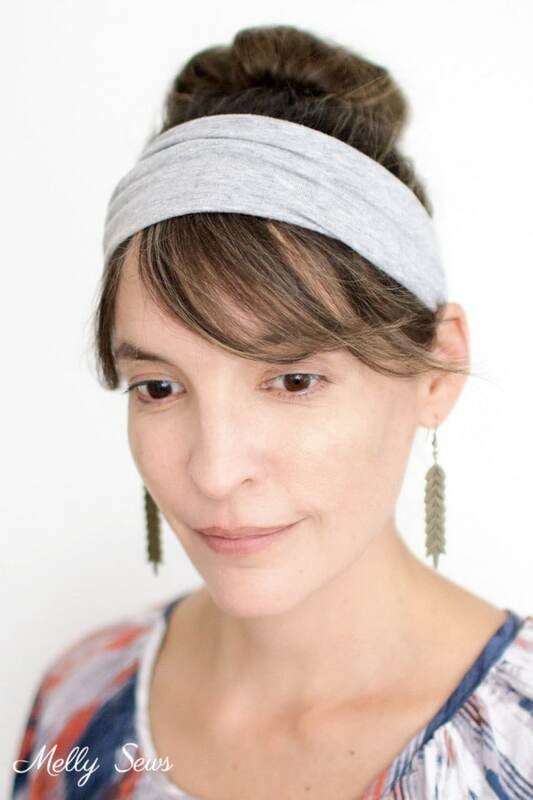 My only problem with headbands is that they are always sliding around. Not sure if the storebought ones are the wrong size, my head is shaped weird, or what, but I’m going to try making some and see if they don’t work out better. Thank you for the tutorial, simple and straight forward. These are so adorable! I’m am most definitely going to give these a try. I have tons of knit scraps left over. My 12 year old niece is visiting for Spring Break, and I was wanting to do some simple sewing project with her. She watched this tutorial with me this morning and is EXCITED to make headbands!